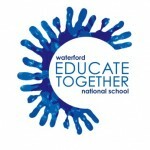 Pre-Enrolment | Waterford Educate Together N.S. Allocation of places in the school will be strictly on application date order. On receipt of your pre-enrolment application your child’s name will be placed on our pre-enrolment database and you will receive an acknowledgement of your pre-enrolment. This is an acknowledgement of your application and does not guarantee an offer of a place. An offer of a place will include an enrolment admissions form, which should be completed and returned to the school by the notified date to confirm your intention to take the offered place for your child. In May/June you will be invited to an induction evening where you and your child will have the opportunity to meet school staff, representatives from the BOM and PA and most importantly, your child’s new teacher.